Appero, Apperò, Aperol or Aperitivo? This morning I overheard some ladies say in English : "Let's meet for an appero next week". An Italian would be confused because this seemingly innocent phrase has a word in it that has many meanings. My English speaking friends meant to meet for an aperitivo, a pre-dinner drink, a time to socialize with friends before each heads off home for dinner. However, appero could be confused with apperò which means: oh,wow! or my goodness! It could also be confused with Aperol which is a brand name liquor that is generally used to make the Spritz a very typical drink at aperitivo time. I think my friends meant to shorten the long word for Aperitivo...which in Italian is Ape. Quando ci vediamo per un Ape? - When do we meet for an Ape? 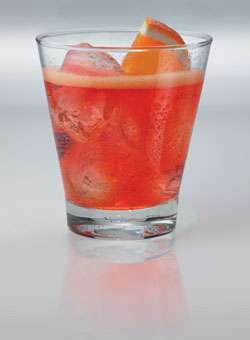 Hmm, this got me in the mood for a Spritz so below is the recipe for the Spritz. Make your own or meet me at Il Calice in Bologna! 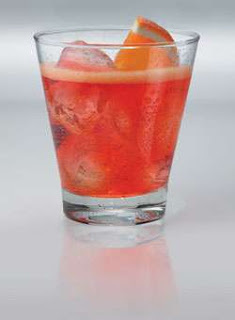 Click here for more drinks made with Aperol, courtesy of the Aperol website. Please remember to drink responsibly!